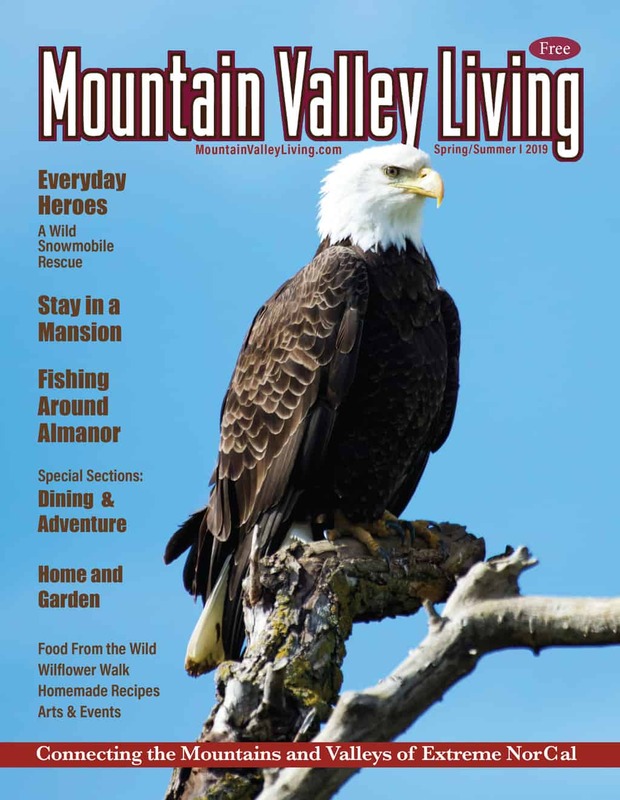 Tucked away in a hidden valley between Highways 44, 36 and Interstate 5 is Manton Valley. 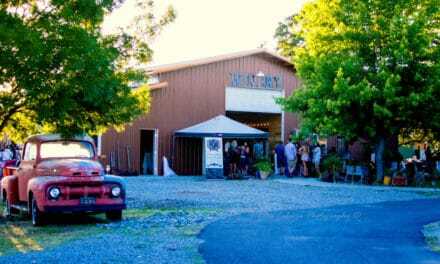 Take a tour and taste premium wines from award winning estate vineyards. Each vineyard offers their own distinctive variety of wine; all are handcrafted and aged in oak or stainless steel barrels. The wine-makers start with the premium grapes they grow with tender loving care in the mineral rich soil of the Manton Valley Wine Country. The unique climate between mountain and valley offers warm sunny days and crisp mountain nights that allow the grapes to develop deep fruit flavors. Take your time and taste your way up Forward Road from downtown Manton and visit these five fine wineries. You can also start at the top and work your way back. 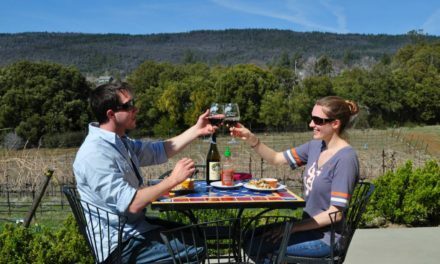 Indian Peak Vineyards is a small family owned and operated winery in Manton, California with a second tasting room located in Graeagle CA. 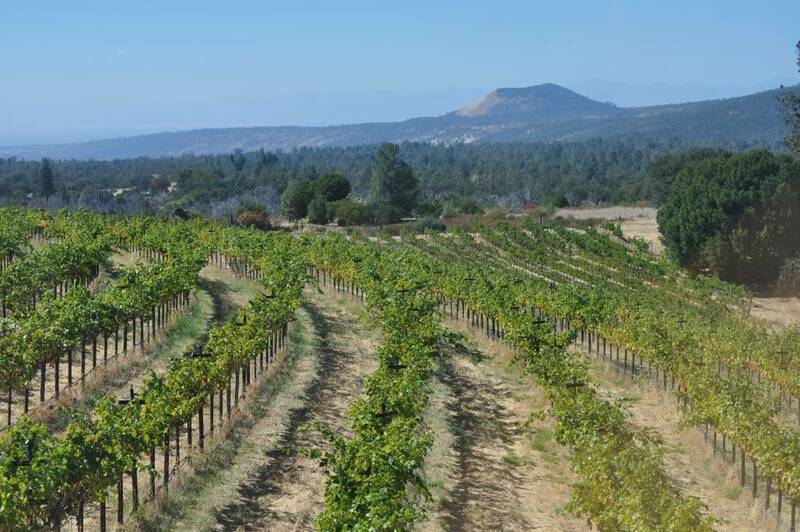 Their vineyards are at 2200 ft elevation on the western slope of Mount Lassen in Northern California. The red volcanic soils are well drained. Summertime temperatures usually reach 100 degrees and nighttime temperatures drop to the mid 60′s at their location, which they told us attributes to their ability to make some great wines. They are currently producing Cabernet Sauvignon, Merlot, Abstract Red (a blend of Syrah and Zin), Port, Chardonnay, and Sauvignon Blanc. Several times throughout the year they host special events. 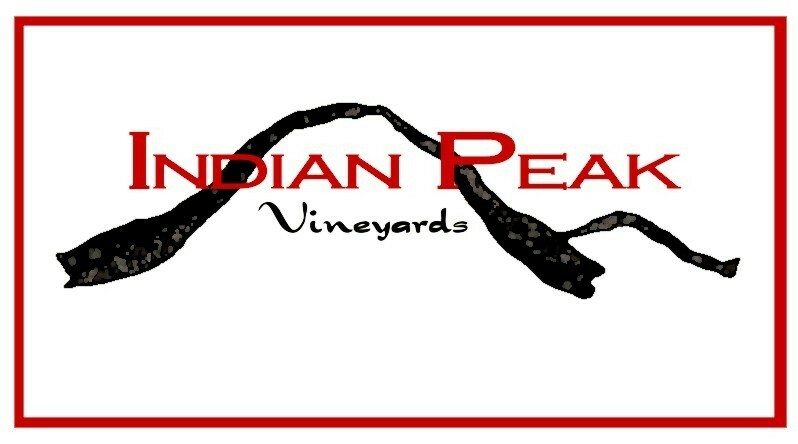 You can find out about these events by signing up on their facebook page or email list at http://www.indianpeakvineyards.net/ or https://www.facebook.com/indianpeak?ref=hl They welcome visitors to stop by and taste the fruits of their labor. Open seven days a week from 11am until 5pm, Fred and Donna Boots welcome you to Indian Peak Vineyard. 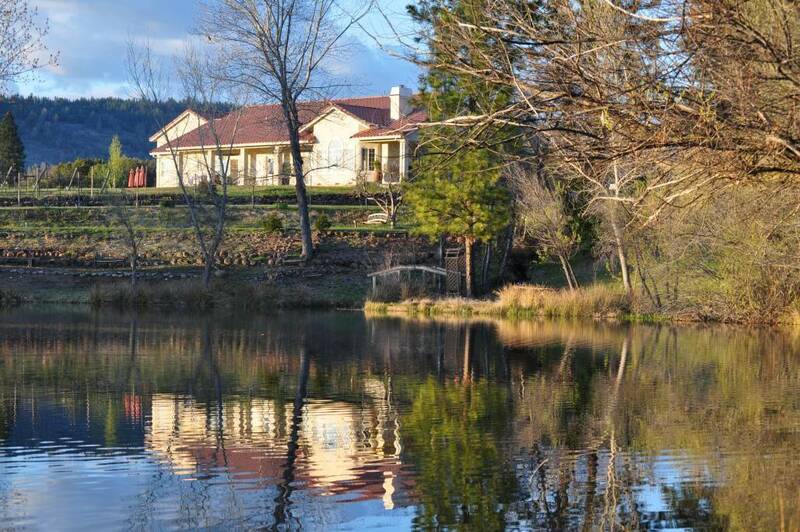 Alger Vineyards is owned and operated by John and Linda Alger. 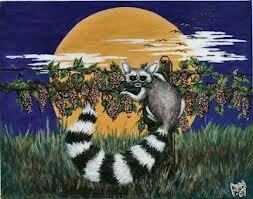 It is tucked in a hidden valley on the West slope of the Sierra Cascades, an incredible agricultural area for grapes. 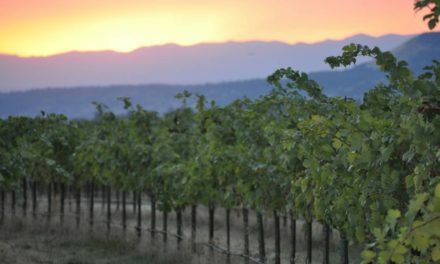 First discovered for making great wines in the 1960’s, the location has rich volcanic soil, water from Mount Lassen, and enjoys gentle breezes and many days of sunshine. Wine is made in various methods & aged in a variety of containers. Each winemaker uses his knowledge and discrepancy of each variety to bring out the best of each. Winemaker Bob Mars has a phenomenal knowledge of winemaking and prides himself on his attention to detail. He takes no shortcuts and uses only the highest quality grapes, barrels and winemaking techniques. When you combine premium grape growing with the knowledge of a skilled and caring winemaker, you have a recipe for excellence. Taste test for yourself the result of his approach and devotion to perfection at Alger Vineyards. Robert Carillo is passionate about wine making with a deep commitment to wine quality and sustainability. From the vine to the glass, they strive to make the finest quality wine from varietal grapes grown at their Manton estate vineyard and others sourced from family vineyards in Sonoma, CA. They will tell you their mission is simple; to produce quality wines and good times! When you visit Ringtail Vineyards, we strive to create a memorable wine tasting experience you will not soon forget, leaving you looking forward to your next visit! Wine tasting is always complimentary. A romantic picnic with someone special, Tasting with friends, or sipping a glass of wine on the deck, we invite you to discover the rustic elegance of our lush vineyards that surround you, creating the perfect backdrop for any occasion. A fourth generation farmer, Rob shares his passion of old country farming from Spain to Northern California dating back to the 1800’s and passed down to him by his great grandfather from Spain. 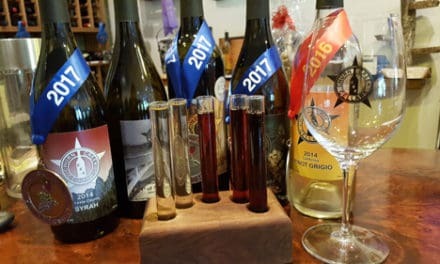 Crisp whites, rich reds & delectable desert wines await your pallet at Ringtail Vineyards, were you may come as a guest, but are sure to leave a friend! Bring a friend and try your hand at shooting targets with their fun and unique cork cannon. Our own Suzanne Monroe and husband Steve had a blast with that contraption! At Cedar Crest Vineyards owners, Jim and Corey Livingston, run the whole show. Corey handles the wine tasting room while Jim makes the wine. 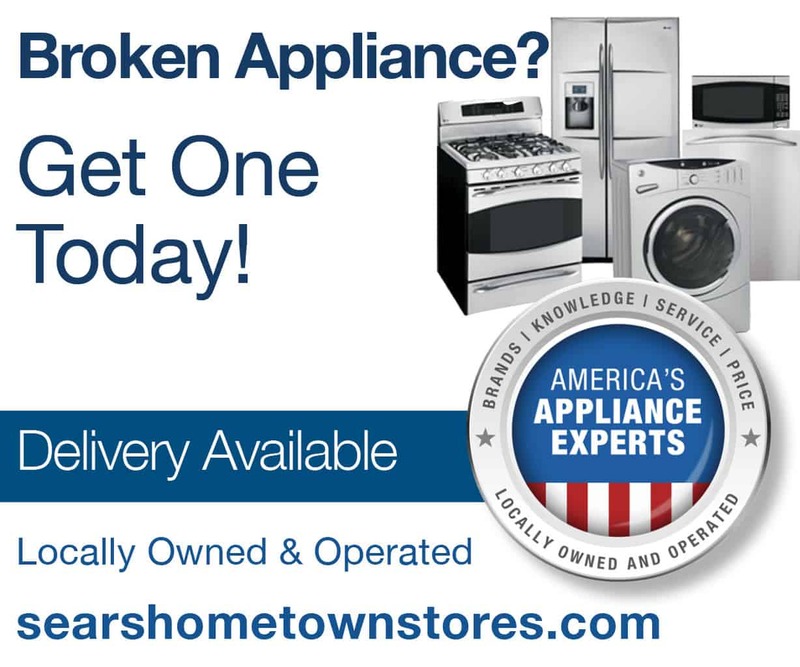 It is a family affair, with children and grandchildren helping along the way. Visiting Cedar Crest is more than just a wine tasting experience; it provides a peek into their family tradition. Cedar Crest planted their four-acre vineyard in spring of 2008. The vineyard produces Petite Sirah, Viognier, Cabernet Souvignon, Cabernet Franc, and Tempranillo on south/southwest facing slopes. The property features beautiful scenery and a park where visitors play bocce ball and barbecue tasty afternoon treats on the grill. Jim and Corey will even teach you how to play bocce and join you in this great couples game. Come join the fun. 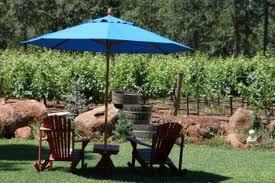 Shasta Daisy Vineyard is a family owned and operated estate vineyard also. 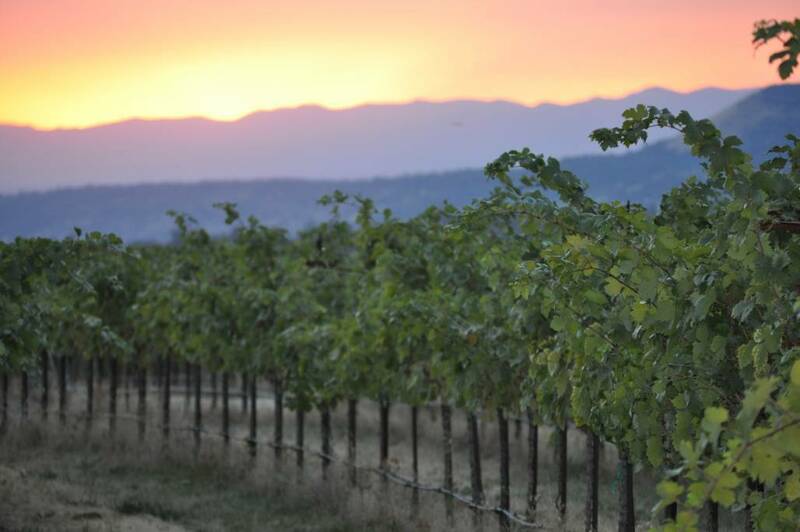 Owners Carroll & Lorna Knedler planted an experimental vineyard in 2001 and then went on to plant their remaining five-plus acres in April 2007. The Knedlers first bottling in 2005 of Pinot Noir yielded only 12 cases of fine wine. Since then Shasta Daisy Vineyard and the grapes have just kep growing. 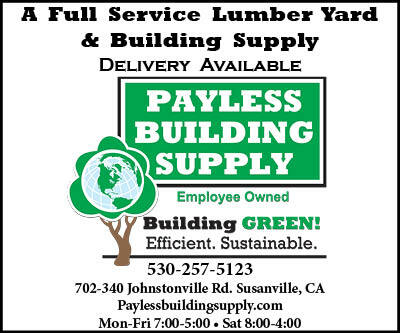 All Shasta Daisy grapes are harvested by hand for the highest quality and least damage to the grape. With this attention to detail and the ability to age and bottle locally this couple promises to be producing premium quality wines for many years to come. 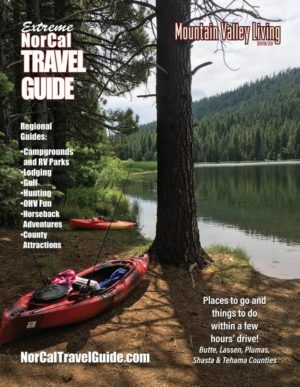 Take the relaxing drive through this stunning and diverse area of the Sierras; enjoy amazing vistas, great people and the fine wines of Manton in Northern California. Rich volcanic soils and a variety of elevations along this “wine trail” provide and outstanding variety of wines. 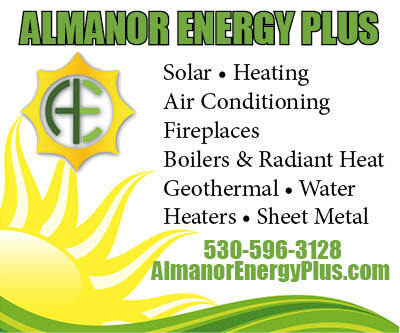 Manton Wineries offer packages for weddings and other special events. 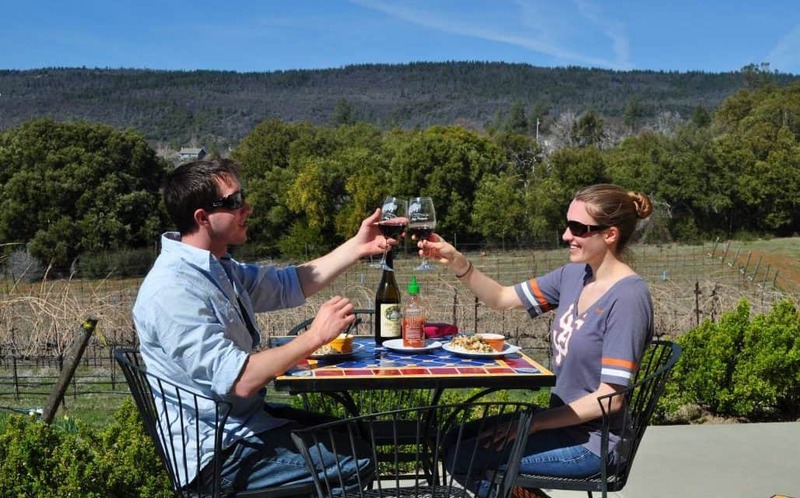 Picnickers are also invited to stop in and enjoy the fabulous views and “picnic pairing” options at the wineries of Manton.